When your property has been flooded, every second counts—and when you’re facing a sewage leak, the water damage problem becomes even more problematic. Sewage leaks can be dangerous, allowing harmful pathogens to flood onto your property, endangering the health of everyone involved. Sewage can seep into hard-to-reach places: the interiors of walls, underneath the floors, through cracks and crevices, crawlspaces and even into the soil around your home or business—contaminating everything it comes into contact with. Without professional treatment, sanitization, and remediation of the source of the contamination, sewage contamination can become an ongoing and potentially life-threatening hazard. Whenever you’re dealing with a sewage problem, contact the experts at Rewind Emergency Services, and we will send a member of our sewage cleanup team right away. Rewind Emergency Services is your best choice for a fast-response remediation team, we offer the fastest friendliest service in your area. Call (714) 494-9940 or email sales@rewindes.com us to learn more today. When water damage happens, the results can be catastrophic to the structure and interior of your property. Water, whether it is contaminated by sewage or not, seeps into any porous surface. It can destabilize a structure, causing wooden support beams to rot, plaster and cement to crumble and crack, and it creates a hospitable environment for mold, mildew, and bacteria. A sewage leak does all of this, with the added grief of dealing with unpleasant odors and deposits, as well as possible exposure to potential health hazards. The Institute of Inspection Cleaning and Restoration Certification (IICRC) classifies water that has been contaminated by human waste and other pathogens as Category 3: “grossly unsanitary” and unsafe to approach. Category 3 contaminated water can come from many different sources, not just an overflowing toilet or sewage outflow pipe. Standing water, outside sources such as nearby rivers and streams, and even laterally moving ground water can all carry the pathogens and contaminants necessary to be categorized as Category 3. If you have water infiltrating your property from an unknown source, the safe decision is to call in the professionals at Rewind Emergency Services for a thorough assessment of the potential hazards. At Rewind Emergency Services, our team of experts are all IICRC certified to assess, sanitize, remove and remediate any water damage problem you might face—including Category 3 sewage. Don’t wait, call or email us today for a free assessment with no risk to you. Having the right tools for the job is important. Porous surfaces must be specially dealt with to ensure that no bacteria, spores, or other pathogens remain. When most people think of porous surfaces, they think of the obvious ones like fabric, carpeting and wood—but many surfaces in your home or office can be porous, trapping deadly pathogens below the surface where normal over the counter cleaners can’t reach. Cement, laminates, and even certain types of stone such as marble and granite can trap and hold contaminants below the surface, making them a potential health risk that most people aren’t aware of. In this industry, experience counts, but so does having the proper equipment. At Rewind Emergency Services we have different types of dryers and blowers—including hardwood dryers and dryers for inner wall cavities, as well as air movers and scrubbers to ensure that no aspect of your property goes unsanitized. With the right tools, and the education to employ them, most situations can be salvaged. Even a relatively minor sewage leak can be difficult to safely remediate. At Rewind Emergency Services our team has the training, equipment and experience in the field to make sure that the job gets done quickly and safely. Once we arrive on the job, we will focus our initial efforts on assessment and containment of the problem area, as well as removal of any unsalvageable items that may pose a health risk. When those materials have been removed, and the source of the contaminated water has been dealt with, our next step involves the removal of the excess water from all affected areas before mold and mildew have a chance to set in. Mold and mildew are a major threat in any situation where water damage is involved. When the humidity in an area gets too high, the conditions are ripe for mold to colonize, and once it has done so it can be incredibly difficult to remove. At Rewind Emergency Services we also provide mold removal services, but our best defense is remediating the conditions that cause mold before it has a chance to move in. Mold is easily recognized by its distinctive musty scent, a smell that can get into clothing and hair, and can be extremely difficult to get rid of. Mingle that smell with the lingering odor of sewage, and you may begin to despair of ever restoring your property back to its original state. When odors are affecting your environment, call the IICRC certified professionals at Rewind Emergency Services. Unlike over the counter products, our cleaning agents have been specially designed to sanitize and get rid of unpleasant odors at their source. It can be tempting to try and resolve your sewage or mold odor problem on your own. The smells can be covered up by sprays and chemicals, lending the illusion that the problem has been solved. 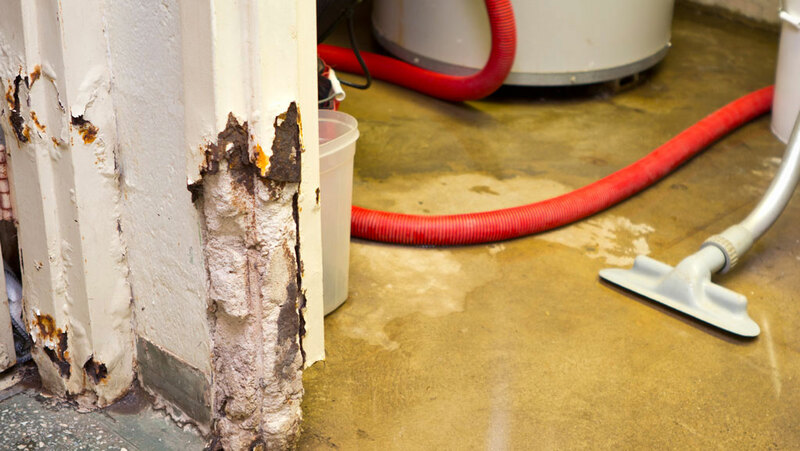 Unfortunately, once a pervasive odor like sewage—or even mold—has become a problem, professional remediation is absolutely necessary if you want a permanent solution. At Rewind Emergency Services, we use only eco-friendly, safe and non-toxic cleaning solutions, as well as techniques that ensure that no harmful contaminants remain in the environment. Your safety is important to us, and your health—and the health of your family, friends, and employees—is worth making a call to Rewind Emergency Services. At Rewind Emergency Services we have the training, equipment, and experience to not only sanitize and remove mold, but also restore the affected area—no matter what type of damage has occurred. Rewind Emergency Services offers restoration services in the following categories: water damage restoration, fire and smoke damage restoration, sewage cleanup, and even remodeling! Since most of these types of damage can cause mold damage as well, Rewind Emergency Services becomes your one-stop restoration solution.